With the help of his fairy godcow, Bubba the ranch hand attends Miz Lurleen's ball. But he forgot the time and had to run off, leaving his cowboy boot behind. An amusing take on Cinderella, enlivened with James Warhola's humorous paintings. Cinderellis is a boy who likes to invent special powders to make things fly, grow, or stick. Marigold is a princess atop a glass hill. To win her, potential suitors must ride a horse up the hill to fetch 3 apples from Marigold's basket. A very unusual story from the author of Ella Enchanted. Farethee Well, a young woman of bodacious beauty, promised her father that she would marry a real cowboy. So whenever a caller asked for her hand, she'd put an itty-bitty black-eyed pea under his saddle blanket. Then she sent him out on the range. If he bruised like the petals of a desert rose, he was a real cowboy. A funny retelling of the Princess and the Pea, with the language and details of the Wild West. Excellent how-to book for aspiring artists. Easy to follow instructions, helpful tips, and large illustrations delivered with energy and enthusiasm inspire artistic confidence and adventure. The many projects include stained glass windows, crazy carpets, pet hotels, wind chimes, treasure boxes, and flying sea serpents. Creative and messy art using sand, soil, leaves, flowers, and other organic materials. Projects include topiaries, weathervanes, fountains and ice chandeliers. Parental supervision is a must, especially when eye-pricking twigs are used. The many sculptures are best constructed in backyards or garages. 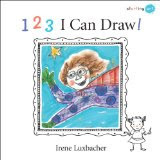 A wonderfully simple book that teaches kids to draw using lines, shapes, and textures. The theme is people: how to draw hair, faces, bodies, and superheroes. A note to parents and teachers explain how to extrapolate the lessons learned to draw animals and landscapes. The paper invites everyone to her pad for a party. Soon, the pencils, markers, tape, watercolours, brushes, etc, i.e. Art's art supplies, take over and create artistic mayhem. Puns and fun abound. 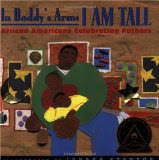 A collection of poems celebrating the importance of fathers. Each poem is brought to life by Steptoe's colourful collages which capture the special pride, joy, and humour between fathers and their children. Perfect for aspiring photographers of all ages. Simple projects teach easy-to-follow concepts such as shadow & light, camera angle, frame & scale, composition, image sequencing, action, and group & individual portraiture. All the pictures in the book were taken by children and teens who attended the author's photography class at a summer camp. Beautiful and inspiring. Easy activities and crafts that make photography fun. Follow the step-by-step instructions to create a nameplate, puzzle, journal, or diorama. Kids can also put together wordless stories, montages, and optical illusions. A book packed with useful tips to get the most out of your digital camera. How-tos include the camera's buttons & functions, composition skills, close-up pictures, and subject ideas. Also provides a good guide to digital photo software to create special effects. The book's portable size contributes to its accessibility and ease of use. For kids who already have some photographic experience and are comfortable with technology. 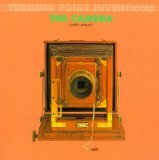 A readable and informative book about the invention of the camera. An especially good fold-out section summarizes the camera's development, its parts, and the recording of an image. Of course, it contains many photographic examples and diagrams. Each chapter of this short book contain two photographs that challenge kids to think about photo interpretation: the stories that photographs reveal about both subject and photographer, how photographs are manipulated, and the reasons why people take pictures. The publisher, Raintree, has many books about art. When searching by category, look under Art or The Arts for a more extensive list. If you're interested in buying the entire What is Art series (or any other series), contact the publisher; you may be able to negotiate a discount. Biographies of five female photographers. Their lives and works show the many different ways that photography can be turned into art. The author offers her own interpretation of each artist's photographs while encouraging kids to discover their own meanings. For readers inspired to learn more, a bibliography is included. A fun look at soccer from its beginnings to today's modern game. Examines soccer equipment, the science of soccer, physical fitness, and legends of the game. Also includes tips for players. The lively writing style makes for exciting reading. note: There's a typo on page 61. Replace the word expect with except. The correct sentence should be During a penalty kick, all players except the kicker and goalie must stand behind this [penalty] arc. An engrossing account of an international game. Well-written, with lots of photos, Morris' book definitely inspires enthusiasm for the sport. Two teams try to break a tie game in this exciting soccer poem. Short lines, action verbs, and blurry pictures ably capture the tense moment. Some critics of Roald Dahl have often been appalled by his depictions of sadistic and cruel adults. They must not have read Boy, Dahl's story of his childhood. He has some wonderful, idyllic memories of his family vacations, but his most vivid descriptions come from his boarding school experiences. Canings were a regular occurrence, given with a tremendous amount of precision and relish. No wonder Dahl never forgot it, and explains a great deal about such characters as the menacing Miss Trunchbull of Matilda fame. It may be a little horrific, but kids will enjoy the Great Mouse Plot and the Goat's Tobacco. Chilean writer Poli Délano remembers poet Pablo Neruda in this unusual memoir. Tío Pablo, as Délano called him, was an eccentric: owning a ferocious pet badger, having a taste for iguana, grasshoppers, and ants (he was very disappointed at not eating monkey), and taking part in a restaurant brawl. Interpersed among the tales are some of Neruda's poems, which I'm afraid I didn't understand. A brief biography of Neruda ends the book. Annie and her mother are successful con artists. They move from town to town offering clairvoyant guidance. Annie pretends to be the village idiot in order to collect gossip and information for her mother to use in her fake seer act. But in Peach Hill, Annie grows tired of all the fakery and lying. She drops her guise, but her mother is inspired to start a new scam: faith healing. An unusual coming-of-age story, slightly funny, yet disturbing. While the reader will admire Annie's courage in choosing her own path, the fate of Annie's friend Helen remains unclear, leading to lingering concern. Laurie Halse Anderson's first novel, Speak tells the story of Melinda, rendered mute because of a traumatic incident during summer vacation. Shunned by the entire school, she retreats to an abandoned janitor's closet in hope of finding solace. Anderson expertly captures the particular hell of high school through Melinda's darkly humorous and sarcastic thoughts. The authenticity of place and character has made Anderson a favourite author for many teens. Although her subject matter is often disturbing, her characters' strengths and resilience are much admired, which make for repeated readings. Kate Malone is very good at keeping her emotions hidden, or so she thinks. But her meticulously ordered life is thrown into chaos when her neighbours, the Litches, are left homeless after a fire. Now Teri Litch, a former bully, and her little brother Mikey are sharing Kate's room. Teri and Mikey are the catalysts that shake Kate out of her self-centeredness and force her to consider other people's problems, not just her own. Kate is not as interesting as Melinda (Speak), nor as likeable. She has some unresolved issues with her deceased mother and a distant father that are not adequately dealt with. But Anderson clearly shows that life for the popular student is not always easy. A slave named Isabel desperately tries to win her freedom while acting as a spy for the rebels. The gripping, fast-moving plot makes this book hard to put down. Anderson includes a helpful appendix which answer questions about the Revolutionary War and the events in the story. A sequel, Forge, will be published in October 2010. Read Laurie Halse Anderson's blog at http://halseanderson.livejournal.com/.